Quietly tucked away in a neat complex of only six, this two bedroom, first floor apartment boasts spacious dimensions and a highly sought locale just a stroll to Essendon Train Station and Rose Street shops and cafes. Oversized windows in all rooms illuminate the home, together with fresh paint assuring a radiant interior. A large living room is drenched in northerly light and adjoins the kitchen. 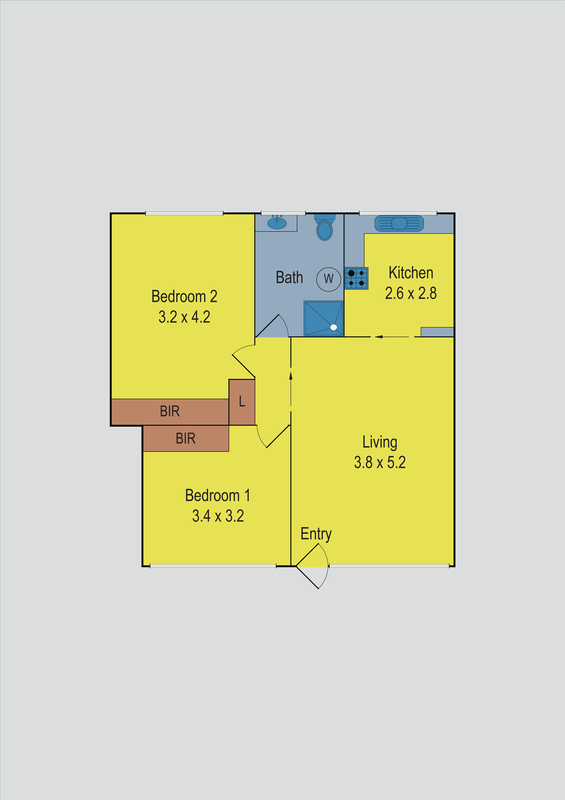 Double bedrooms present built-in or freestanding wardrobes and share a neat two tone bathroom with laundry function. Off-street parking and heating are also included. A wealth of nearby amenities including Lincoln Park, North Essendon Village plus the area’s finest public and private schools are all within walking distance, assuring strong new buyer and investor appeal.